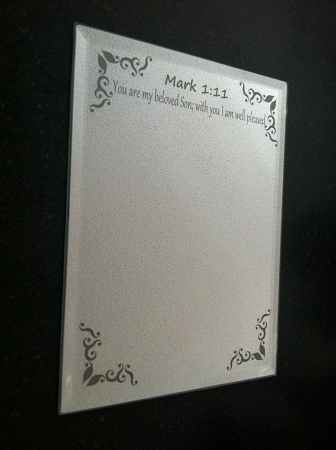 Home > Religious > You are my beloved Son with you I am well Pleased Mirror from Mark 1 verse 11. 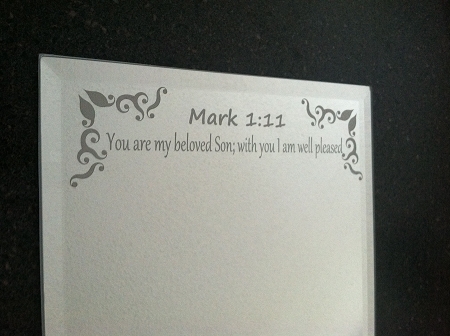 You are my beloved Son with you I am well Pleased Mirror from Mark 1 verse 11. Mark Chapter 1 Verse 11 Offers some very touching words of wisdom. "You are my beloved Son; with you I am well pleased." 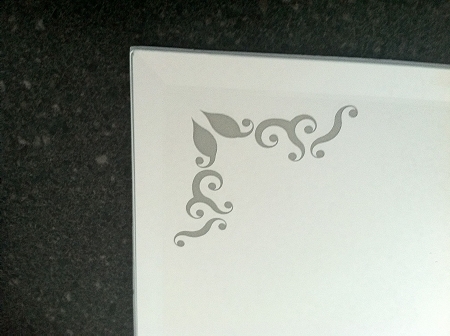 You will love the reverse engraved mirror. You can put it into your room where you can be reminded that god loves you every single day. 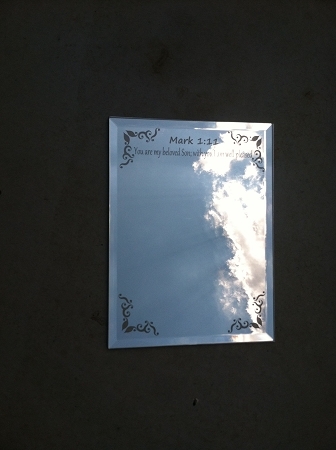 mirror has a great design in each of the four corners with the Mark 1:11 verse engraved into the top of the mirror. The beveled edge of the mirror makes it a very stylish piece for any room of your house, or as an excellent gift for any person who could be reminded that god loves them. You choose what you want to mount your mirror. To mount your mirror choose Either a plastic stand to sit on a dresser or night stand, or a wall mirror mount to keep your mirror more permanent.